As the temperature in my city hits a nasty 36 degrees today, I feel like running away to the hills once again. 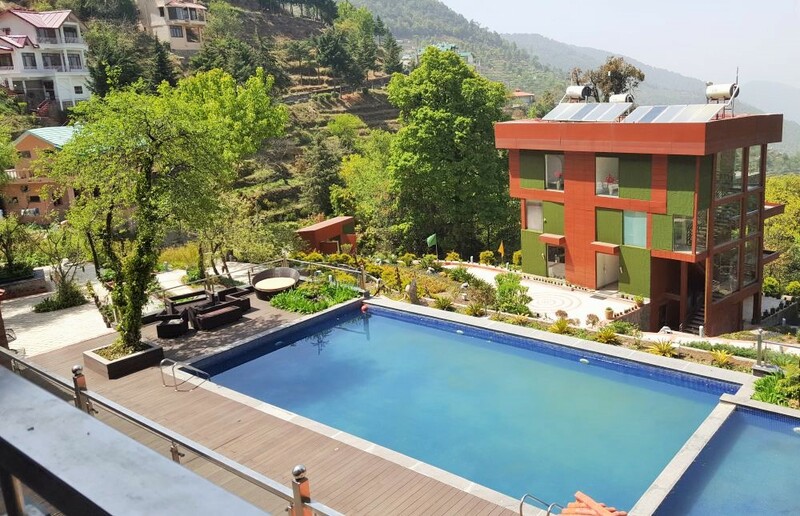 Especially to the beautiful Aamari Resort in Ramgarh, 22 kms from Nainital. If you follow me on social media, you must have seen my posts from the resort earlier this month. That weekend was by far one of the best and most relaxing holidays in a really long time. The mountains, fresh air, lots of greenery and a luxurious resort. What else do you need for a wonderful getaway? If you are coming from Delhi, which I did, it takes around 7 hours to reach Ramgarh. It is a long drive and can get a bit tedious but thankfully the roads aren’t that bad and after Kathgodam, the drive up to the hills is extremely pleasant. Ramgarh is still quite unexplored and that is the beauty of the place. It is far removed from the hustle and bustle of Nainital and the beauty lies in its serenity, exquisiteness and tranquility. And at Ramgarh, the best place to stay at is definitely, Aamari Resort.